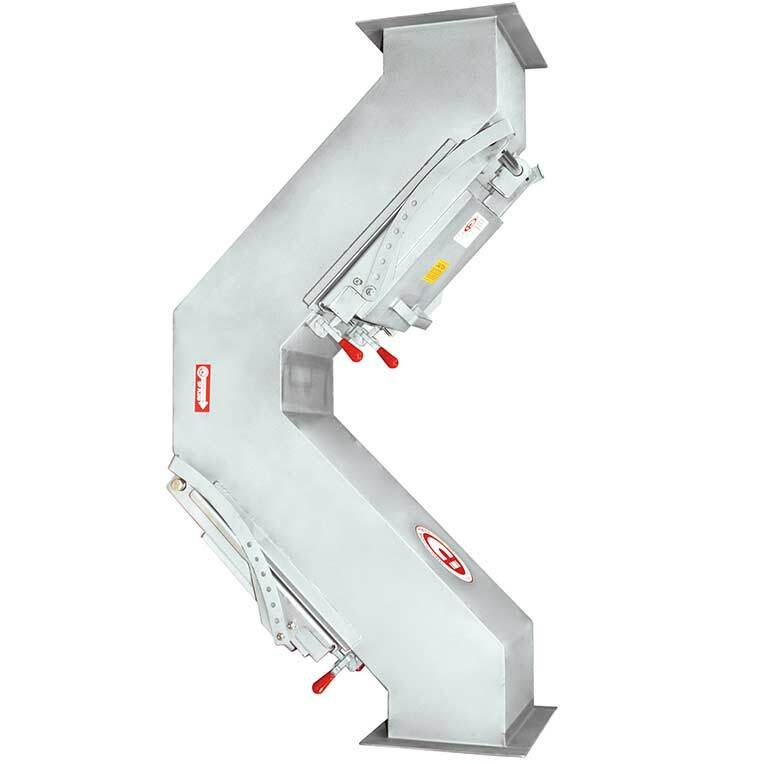 Ideal for ferrous tramp metal separation in gravity systems, IMI Hump Magnet separators are adaptable to either round pipe or rectangular chute transfer lines. 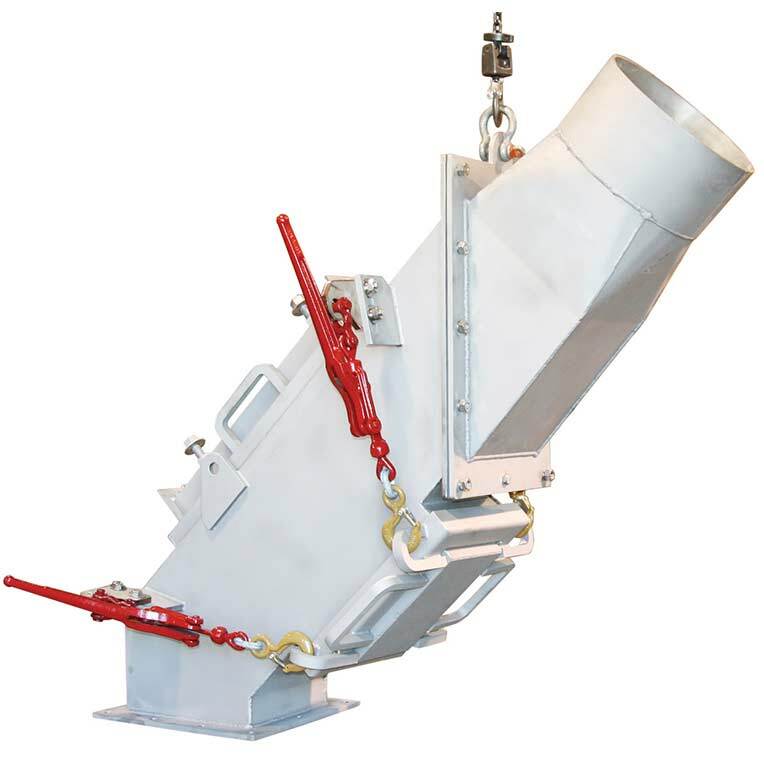 The Hump magnet employs two heavy duty diverter-equipped Spout Magnets, which are positioned so that the offset flow of product flowing through the hump is forced into the magnetic fields. 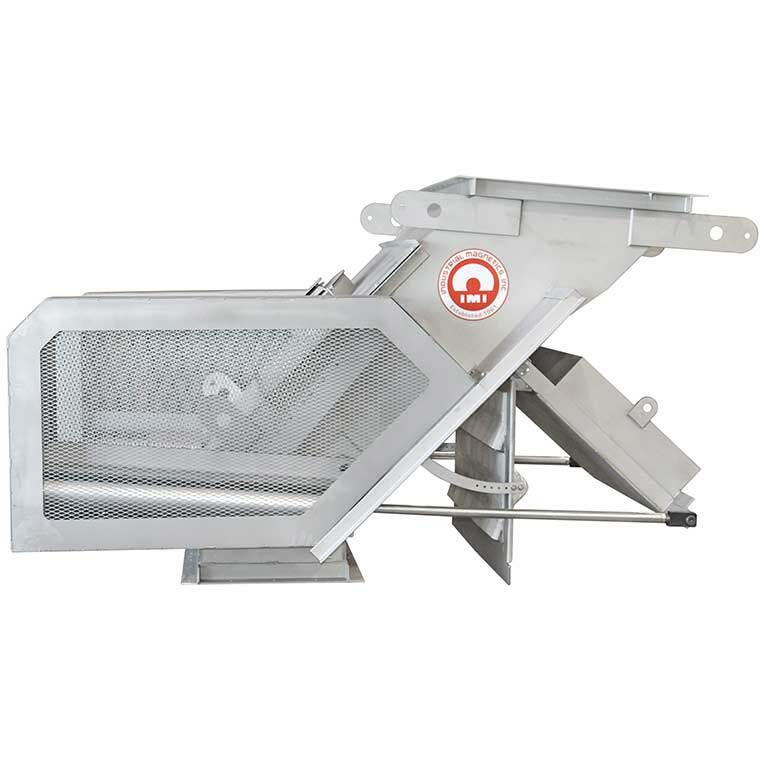 The hinged magnets are gasketed and clamped tightly to the hump housing for maximum product and dust containment during processing operations. 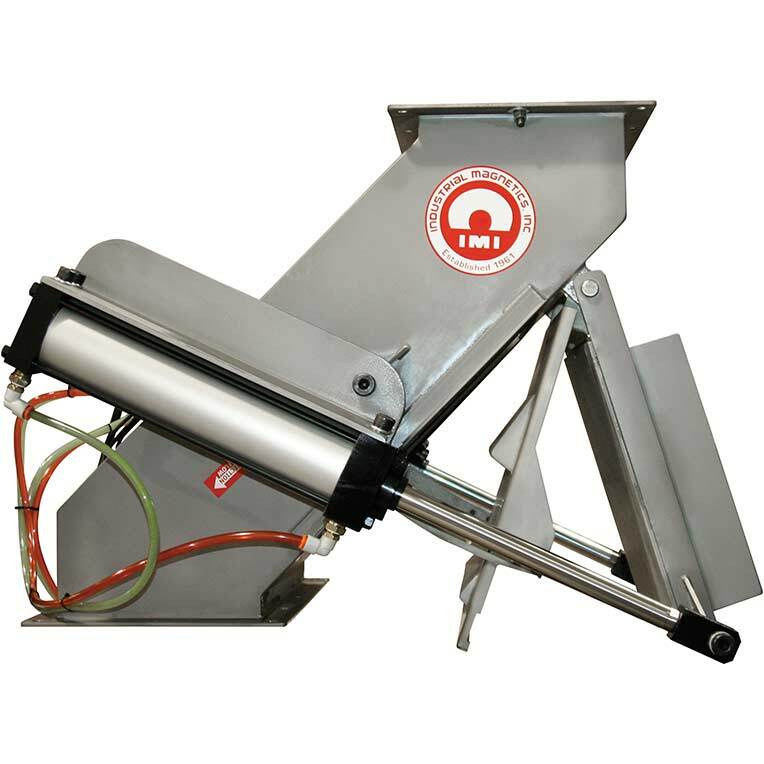 They also swing open for easy removal of captured tramp metal. 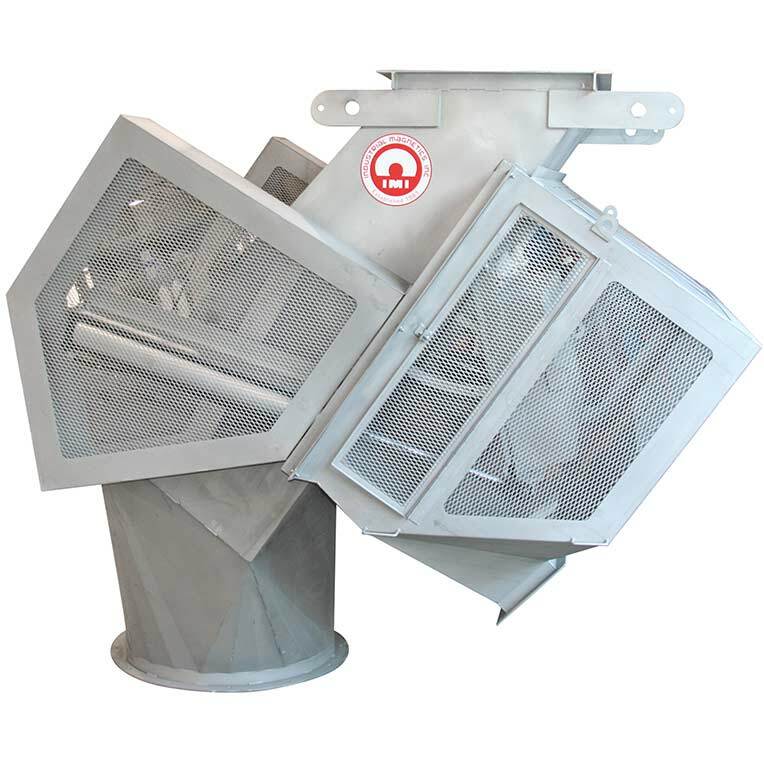 Ruggedly constructed from stainless steel with a welded flange mounting system to fit either chute or pipe applications, IMI Hump separators are available in nine standard sizes with Custom sizes available upon request. 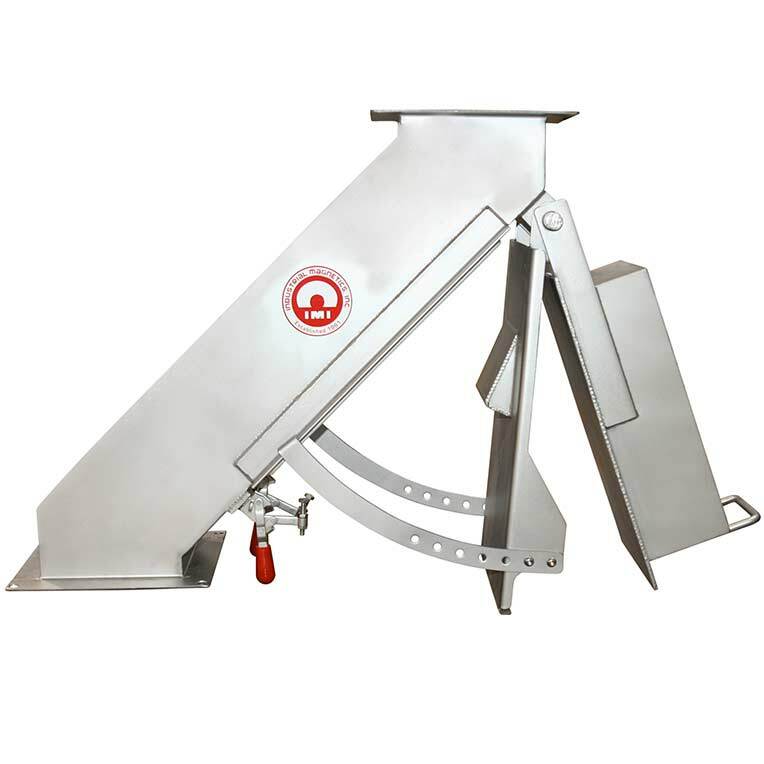 Our Sanitary Grade Hump Magnets are certified by HAACP International as suitable for direct contact with food products and for use in the operation of a HACCP based Food Safety Program.